The slimline Pro Digital features advanced controls for an entry-level thermostat. 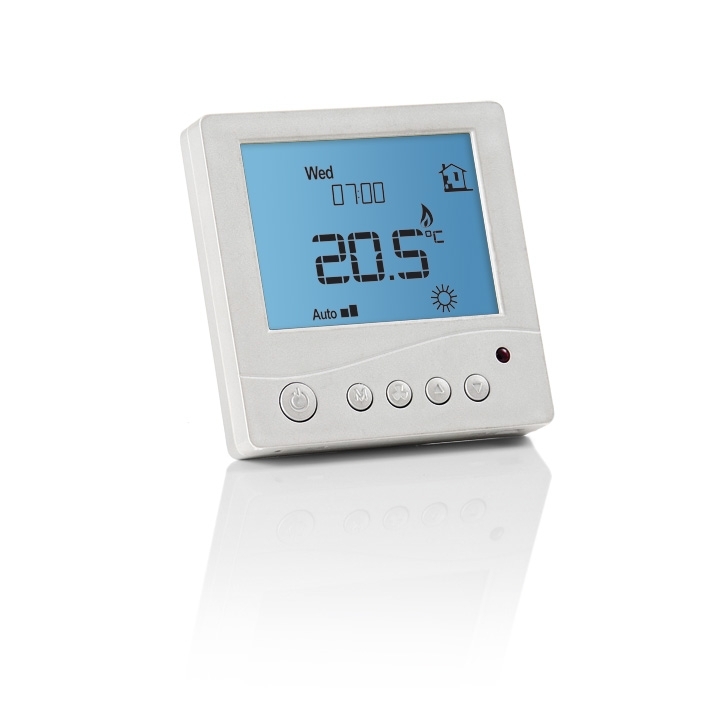 Able to use either floor, air or combination sensors to control the temperature, the Pro Digital is fully programmable for each individual day of the week. Available in a stylish and contemporary white design, the display has a modern blue back light and offers both a holiday mode and manual override, plus up to four set points each day.